How can I assign Quill Proofreader activities to my students? Quill Proofreader teaches your students editing skills by having them proofread passages. Students edit passages and receive personalized exercises based on their results. With over 100 expository passages, Proofreader gives students the practice they need to spot common grammatical errors. Click "Assign Activities" in your teacher dashboard. 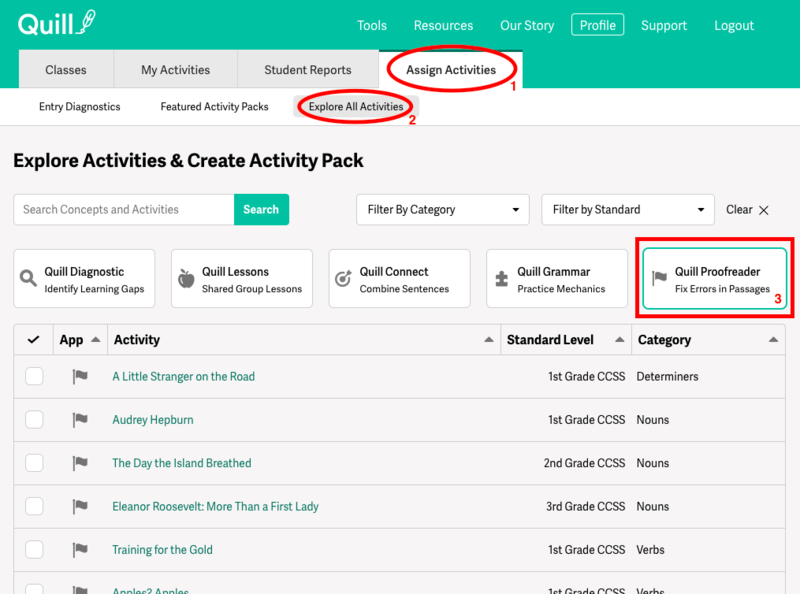 *You can also assign activities through "Featured Activity Packs" and most of the packs have both Proofreader and Grammar games within them. Quill Proofreader activities have a flag icon next to them.